Private-school choice is at the top of the Trump administration's education agenda. And it’s expanding in the states, through vouchers, education savings accounts, and privately operated scholarship programs that are funded through state income tax credits. It's also the focus of recent research showing negative or ambiguous test-score effects on students who attend private schools with vouchers, in contrast to mostly neutral or positive findings from older studies. But understanding the impact of private-school choice requires more than parsing test scores. 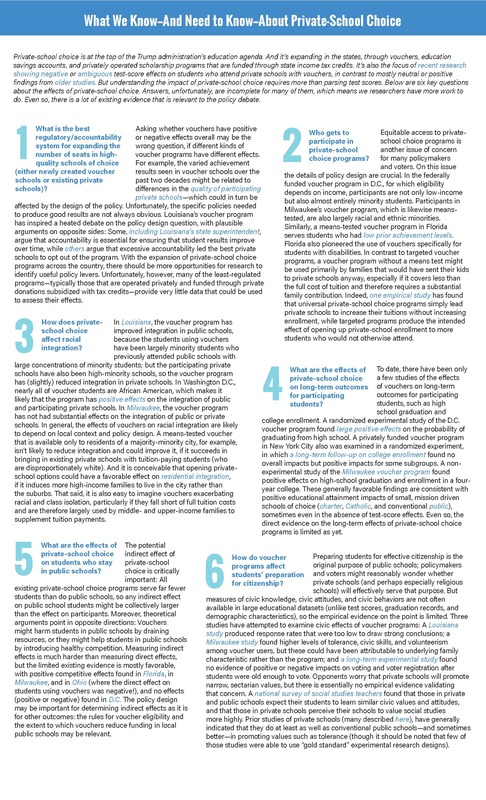 Below are six key questions about the effects of private-school choice. Answers, unfortunately, are incomplete for many of them, which means we researchers have more work to do. Even so, there is a lot of existing evidence that is relevant to the policy debate. Asking whether vouchers have positive or negative effects overall may be the wrong question, if different kinds of voucher programs have different effects. 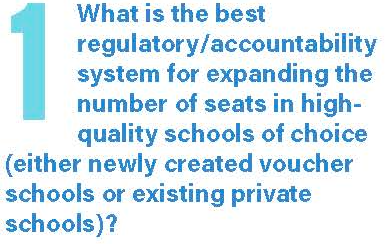 For example, the varied achievement results seen in voucher schools over the past two decades might be related to differences in the quality of participating private schools—which could in turn be affected by the design of the policy. Unfortunately, the specific policies needed to produce good results are not always obvious. Louisiana’s voucher program has inspired a heated debate on the policy design question, with plausible arguments on opposite sides: Some, including Louisiana’s state superintendent,, argue that accountability is essential for ensuring that student results improve over time, while others argue that excessive accountability led the best private schools to opt out of the program. With the expansion of private-school choice programs across the country, there should be more opportunities for research to identify useful policy levers. Unfortunately, however, many of the least-regulated programs—typically those that are operated privately and funded through private donations subsidized with tax credits—provide very little data that could be used to assess their effects. Equitable access to private-school choice programs is another issue of concern for many policymakers and voters. On this issue the details of policy design are crucial. In the federally funded voucher program in D.C., for which eligibility depends on income, participants are not only low-income but also almost entirely minority students. Participants in Milwaukee’s voucher program, which is likewise means-tested, are also largely racial and ethnic minorities. Similarly, a means-tested voucher program in Florida serves students who had low prior achievement levels. Florida also pioneered the use of vouchers specifically for students with disabilities. In contrast to targeted voucher programs, a voucher program without a means test might be used primarily by families that would have sent their kids to private schools anyway, especially if it covers less than the full cost of tuition and therefore requires a substantial family contribution. Indeed,one empirical study has found that universal private-school choice programs simply lead private schools to increase their tuitions without increasing enrollment, while targeted programs produce the intended effect of opening up private-school enrollment to more students who would not otherwise attend. In Louisiana, the voucher program has improved integration in public schools, because the students using vouchers have been largely minority students who previously attended public schools with large concentrations of minority students; but the participating private schools have also been high-minority schools, so the voucher program has (slightly) reduced integration in private schools. In Washington D.C., nearly all of voucher students are African American, which makes it likely that the program has positive effects on the integration of public and participating private schools. In Milwaukee, the voucher program has not had substantial effects on the integration of public or private schools. In general, the effects of vouchers on racial integration are likely to depend on local context and policy design. A means-tested voucher that is available only to residents of a majority-minority city, for example, isn’t likely to reduce integration and could improve it, if it succeeds in bringing in existing private schools with tuition-paying students (who are disproportionately white). And it is conceivable that opening private-school options could have a favorable effect on residential integration, if it induces more high-income families to live in the city rather than the suburbs. That said, it is also easy to imagine vouchers exacerbating racial and class isolation, particularly if they fall short of full tuition costs and are therefore largely used by middle- and upper-income families to supplement tuition payments. To date, there have been only a few studies of the effects of vouchers on long-term outcomes for participating students, such as high school graduation and college enrollment. A randomized experimental study of the D.C. voucher program found positive effects on the probability of graduating from high school. A privately funded voucher program in New York City also was examined in a randomized experiment, in which a long-term follow-up on college enrollment found no overall impacts but positive impacts for some subgroups. A non-experimental study of the Milwaukee voucher program found positive effects on high-school graduation and enrollment in a four-year college. These generally favorable findings are consistent with positive educational attainment impacts of small, mission driven schools of choice (charter, Catholic, and conventional public), sometimes even in the absence of test-score effects. Even so, the direct evidence on the long-term effects of private-school choice programs is limited as yet. The potential indirect effect of private-school choice is critically important: All existing private-school choice programs serve far fewer students than do public schools, so any indirect effect on public school students might be collectively larger than the effect on participants. Moreover, theoretical arguments point in opposite directions: vouchers might harm students in public schools by draining resources, or they might help students in public schools by introducing healthy competition. Measuring indirect effects is much harder than measuring direct effects, but the limited existing evidence is mostly favorable, with positive competitive effects found in Florida, in Milwaukee, and in Ohio (where the direct effect on students using vouchers was negative! ), and no effects (positive or negative) found in D.C. The policy design may be important for determining indirect effects as it is for other outcomes: the rules for voucher eligibility and the extent to which vouchers reduce funding in local public schools may be relevant. Preparing students for effective citizenship is the original purpose of public schools; policymakers and voters might reasonably wonder whether private schools (and perhaps especially religious schools) will effectively serve that purpose. But measures of civic knowledge, civic attitudes, and civic behaviors are not often available in large educational datasets (unlike test scores, graduation records, and demographic characteristics), so the empirical evidence on the point is limited. Three studies have attempted to examine civic effects of voucher programs: A Louisiana study produced response rates that were too low to draw strong conclusions; a Milwaukee study found higher levels of tolerance, civic skills, and volunteerism among voucher users, but these could have been attributable to underlying family characteristic rather than the program; and a long-term experimental study found no evidence of positive or negative impacts on voting and voter registration after students were old enough to vote. Opponents worry that private schools will promote narrow, sectarian values, but there is essentially no empirical evidence validating that concern. A national survey of social studies teachers found that those in private and public schools expect their students to learn similar civic values and attitudes, and that those in private schools perceive their schools to value social studies more highly. Prior studies of private schools (many of which are described here), have generally indicated that they do at least as well as conventional public schools—and sometimes better—in promoting values such as tolerance (though it should be noted that few of those studies were able to use “gold standard” experimental research designs). 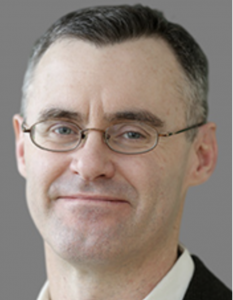 Brian Gill is a senior fellow at Mathematica Policy Research and director of the Mid-Atlantic Regional Educational Laboratory. He has conducted studies of school choice programs in various forms for two decades.